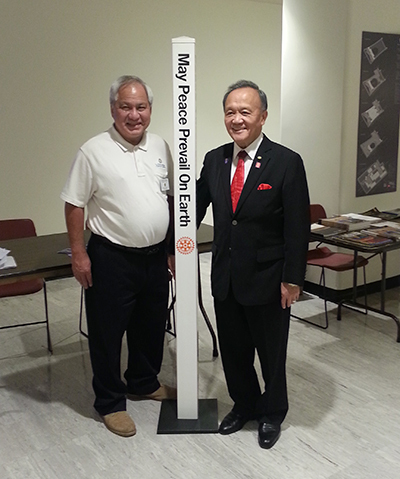 The Peace Pole Project was presented at Rotary International-United Nations Day (RI-UN Day) in New York City, held on November 1st, 2014. 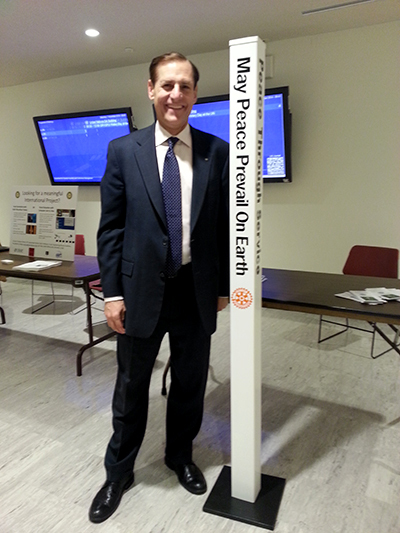 Rotary International General Secretary, John Hewko accepted the Peace Pole as a gift on behalf of Rotary International Headquarters in Evanston, Illinois, USA. 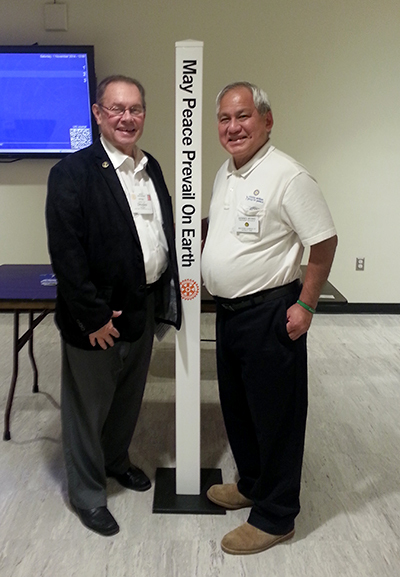 The Peace Pole will be planted at the Rotary International Headquarters located in Evanston, Illinois, USA.